Bloom" takes place on International Women's Day, Friday 8th March 2019. 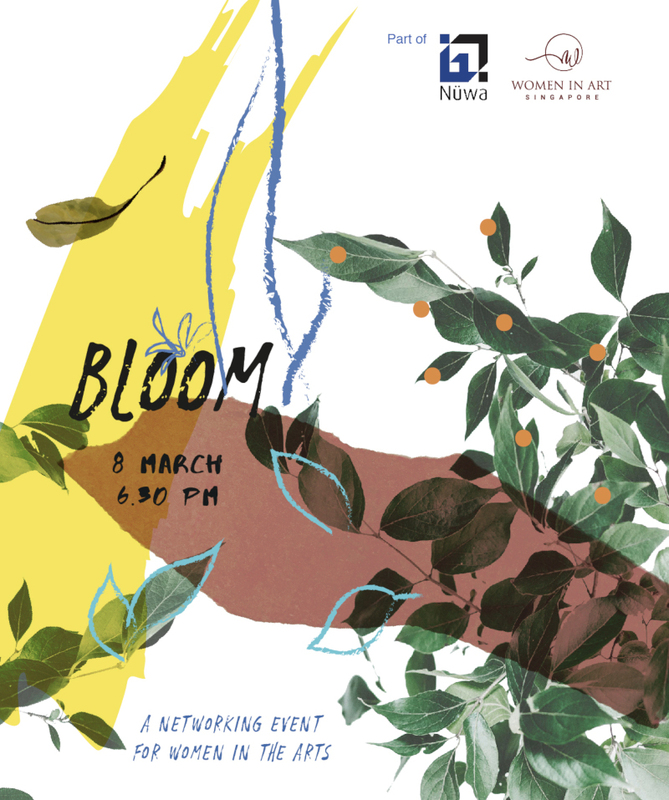 Bloom serves to connect and strengthen the relationships between women across the Singapore art sector. Bloom participants will experience an intimate dinner that allows them to build meaningful connections and friendships - they will then be transported to a large-scale networking event held at a 'secret' location. All in the same night. We invite you to take a seat at our table and be a part of this unique and connected group of women in art. Women in Art is the first and ONLY network for women in the arts in Singapore. Part of Nuwa and steered by an independent committee of female art founders, Women in Art create unique opportunities for women to build sincere connections with like-minded women. To share what they do, to support and be supported, to inspire and be inspired. Please note this is a women only event.